The bad news? The current web browser is not up to par with competition. It lacks support for plugins such as Adobe Flash and does not even adhere to all the new HTML5 standards. On the other hand, the just released Internet Explorer 9 for Windows 7 is actually an impressive browser with features such as hardware acceleration. The good news? The upcoming Mango upgrade will bring the IE9 engine to the mobile operating system. This means that a web page designed for a desktop browser would render the same way on the small screens of mobile devices. While it does not automatically offer an optimized experience, developers can use standardized markup to make further enhancements. Since IE9 also takes advantage of hardware acceleration on mobile devices, rendering heavy web sites is faster than the competition. In one example demoed on stage, a prototype Windows Phone device rendered graphics at over 20 frames per second while Android ran at 11 FPS and iOS struggled at just 2 FPS. The new browser will even let users pin web apps to the home screen as a live tile. Another notable enhancement is an improved address bar which is now accessible in landscape mode. 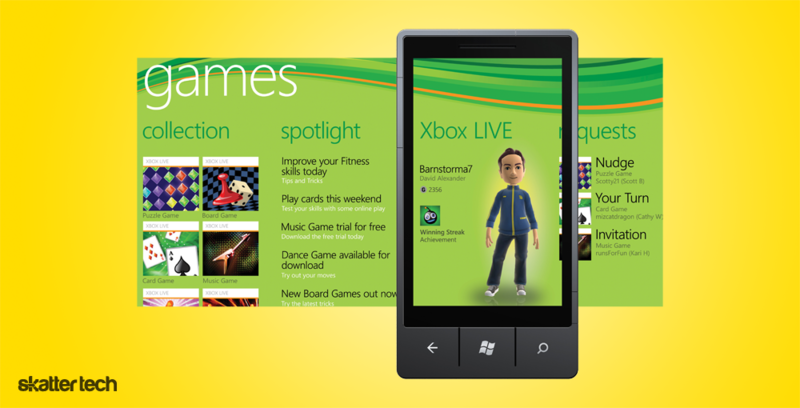 When Windows Phone 7 first made a debut, it entirely lacked support for running two or more apps simultaneously. The recent NoDo update improved on the issue with a feature called “tombstone” which would essentially hibernate applications until resurrected, no pun intended. Although a welcome addition, it was far from practical and the lack of an interface for app switching forced users to cycle through each opened one in a chronological order by repeatedly hitting the back key. Microsoft makes things more straightforward with the Mango update which offers an app switcher. The interface displays screenshots of each open application and lets users swipe sideways to browser through them. In addition, this upgrade will offer features such as background audio for third-party apps. One demo shown off on stage at MIX 11 was Spotify. Mango also makes it possible to play audio from a web page and having it continue in the background even if they leave the browser or open another app. Other new capabilities include support for background alarms and another demo featured a flight tracking app which notified users when it was time to catch a flight. Microsoft will make APIs available to let developers take advantage of background downloads. I was also glad to see that it would be easy to jump straight back into a game of Angry Birds, which will be available in the Windows Phone 7 Marketplace on May 25th. Playing catch up, Microsoft is putting in effort to give developers better tools to build more powerful apps. For example, apps can now take advantage of the core panorama and pivot animations to feel as smooth as native ones. Windows Phone 7 will soon allow multiple live tiles per app and let developers feed information to these in the background. Another neat minor addition opens the doors to “ringtone apps” for custom tunes. The Mango update also gives developers deep access to calendar and contacts data for more creative apps. To push on augmented reality (AR) apps, Microsoft now offers access to RAW camera data, the compass, and the gyroscope. I was also excited to hear that Skype would reach Windows Phone 7 device this fall, meaning we might see some hardware with front-facing cameras fairly soon. Deep linking will make it possible to launch third-party apps from within other ones such as search results. Microsoft demoed launching the IMDb app directly from search results for the movie “Source Code” from Bing search. In addition, the Music + Movies Hub will display a history for multimedia played in third-party apps such as Slacker in addition to the native player. Users can also pin a specific part of an application to the home page too. For instance, it will be possible to add a live tile shortcut directly to the barcode scanner feature of the Amazon app for instant access. 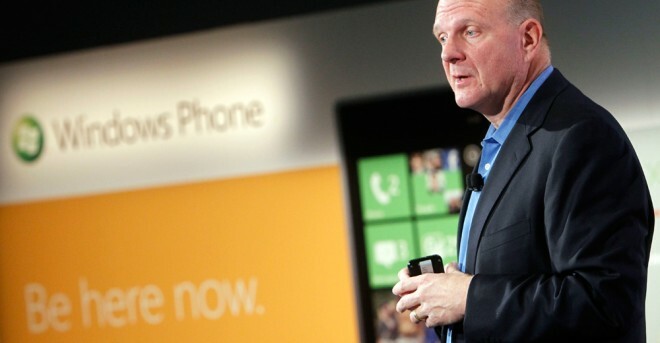 Coming from the antique and disastrous Windows Mobile 6.5 operating system, Microsoft has made some major strides. These updates are a great start to offer an edge over dominating competitors, but it is not enough just yet. 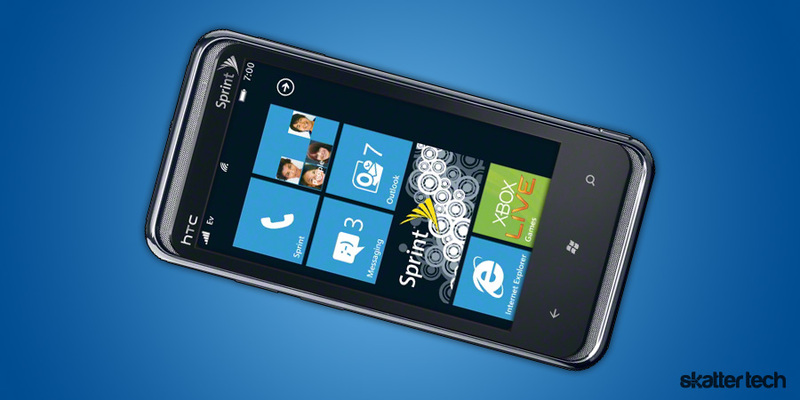 According to some rumors, Nokia will release their first Windows Phone 7 device when this major update becomes available. This could give them a much needed boost with top notch hardware, but Microsoft still has plenty of work to do when it comes to other issues such as drawing in developers to build more apps. I was at least glad to hear that the WP7 Marketplace would soon head to 35 countries including China, which is up from just 16 at launch. This will be awesome! Can’t wait to get my Focus upgraded to Mango! PLEASE include the ability to connect to hidden wifi networks in the next update!!!! Loving my Focus besides that.